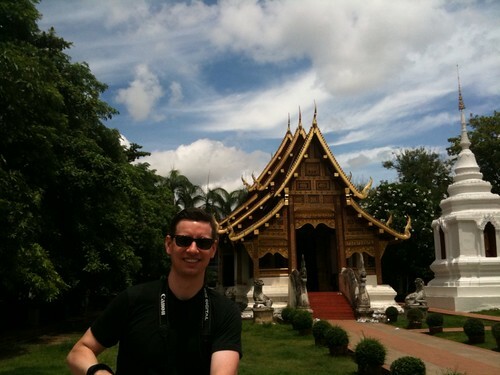 Dan at Wat Phra Singh, originally uploaded by Hillary Hewins. Today we rode bikes around Chiang Mai, which was a difficult endeavor since traffic is on the left here. This was the first of quite a few amazing wats. The one behind Dan had a lion buddha influence from India.